No, I am not advocating squashing the Thanksgiving celebration. In fact, I am encouraging you to celebrate it with full dignity and honor. I’m only using the word squash as pun. 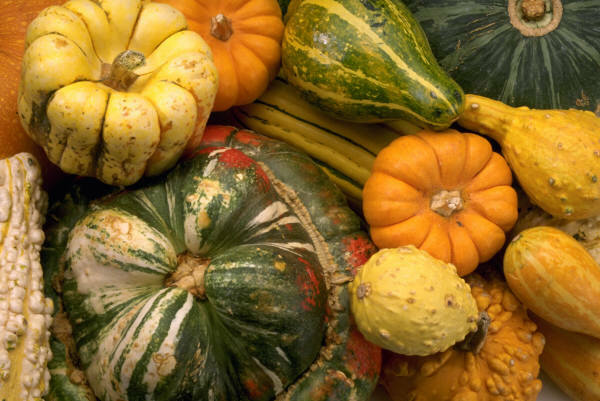 Squash the Thanksgiving Myth: I’m asking you to get out of the box, and find out more about how to use the squash. Can you make anything other than the usual dishes with it? Squash is such a beautiful, healthy and nutritious vegetable. There are so many varieties of it. And if you think about it, not too many Americans know how to make non-traditional dishes with it. Yes, of course, squash is used for Thanksgiving decoration. Squash is used for making pies (including the famous pumpkin pie, if you consider pumpkin as a type of squash — after all, they all come from the same botanical family Cucurbitaceae or the Cucurbita or gourd family.) Some people make butternut squash casserole, and throw in prosciutto and leeks. Some people make ginger-mixed butternut squash soup. Butternut squash bread pudding, roasted squash with chestnuts and squash gratin are exotic dishes. Of course, they are all great. And by all means, cook them. But there is so much more you can do with squash. Here, I’m asking you to explore Indian dishes you can make with the fall gift of God. Indian dishes with squash would use a number of spices — such as the five-spice mix or Panch Phoron (cumin, fennel, black cumin, mustard and coriander seed), or Garam Masala (cinnamon, clove, cardamom, etc. 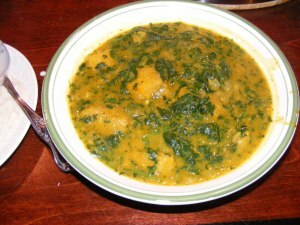 ), and you can make different dishes using them, keeping the squash as the primary vegetable. For example, you can make a mixed vegetable korma with various types of fall squash, mixed with some sweet potato, regular potato, carrot, eggplant and cauliflower. Some people also add pineapple or mango in it. You need to use the five-spice mix to cook it. You can make a hearty soup with squash, or a squash-lentil soup, but it’s going to be an Indian soup, using a little bit of ginger, cinnamon and garlic. Works wonders to fight off the flu. I’m going to write more in the coming weeks about Indian dishes that help you boost your immunity against the common flue and cough and cold, especially in the winter. 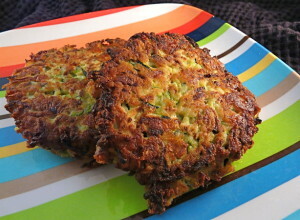 You can also make fritters with sliced squash pieces, smeared with a think coating of chickpea power paste or besan. You can either deep fry it, or if you are more health conscious, you can bake it. Either way, they are delicious. You can taste the fritters with a dip of tomato or chili sauce. You can make a fish dish, with carp or salmon, and use squash blocks in it. Use some cilantro and tomato slices for garnish. Eat with warm rice. Finally, squash pudding or squash chutney, the Indian way. Try them. They are all heavenly. Let us know if you want to learn how to make these wonderful, delicious and healthy dishes. Have a Wonderful, Happy, and Joyous Thanksgiving. Working on a book, and looking for agents or publishers. Please keep in touch. Thanks for writing.